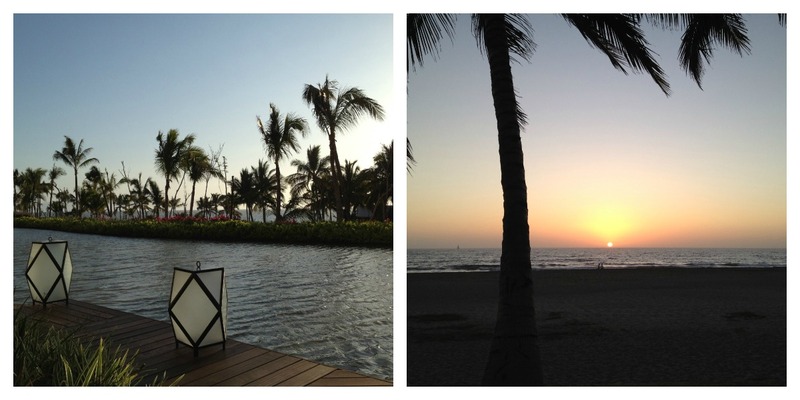 This past March my wife and I got the wonderful opportunity to go to Puerto Vallarta, Mexico for Spring Break. We’re a number of years removed from the wild & crazy, booze-filled Spring Break lifestyle, and as ironic as it may sound, we headed to PV for some quiet R&R. And believe it or not, that’s exactly what we got…as well as some crazy sunburns. For an entire week after our trip, we affectionately referred to one another as Mr. and Mrs. Lobster. No joke. We were THAT red. The Burger Custom Made had a pretty extensive menu, which included 12 different burgers, appetizers, salads, and various entrees. I was tempted to order the Slider Trio (American Kobe, shrimp, and chicken/turkey) but ultimately ended up ordering the Especial – a 100% Angus beef burger topped with sautéed mushrooms, Swiss cheese, bacon, lettuce, tomatoes, and onions all on a Brioche bun. Now don’t look down on me, but I ordered mine without bacon. I may have been on vacation, but I still had a bathing suit to wear. Wow…let’s forget I just said that. Moving on…I also ordered a side of French fries and washed it all down with an ice cold Diet Coke. The burger was nice and hot when it came out, and all in all it was pretty decent. The bun was nicely toasted and the veggies seemed fresh. The meat, although well-seasoned, was a little dry. This didn’t turn out to be too big a problem, though, as the tomatoes and sautéed mushrooms added a good amount of moisture, keeping the burger from being difficult to swallow. I did have some trouble keeping the burger together as I ate, but I’ve definitely had messier experiences. Being a hotel restaurant, the meal was overpriced, but that fact was quickly forgotten as we listened to the waves hitting the shore and watched as the sun set beyond the horizon. Although the amazing view we had eating on the outdoor deck of the restaurant was more spectacular than the Especial, I was pleasantly surprised with my burger experience. It was a nice, meaty burger with some quality toppings. 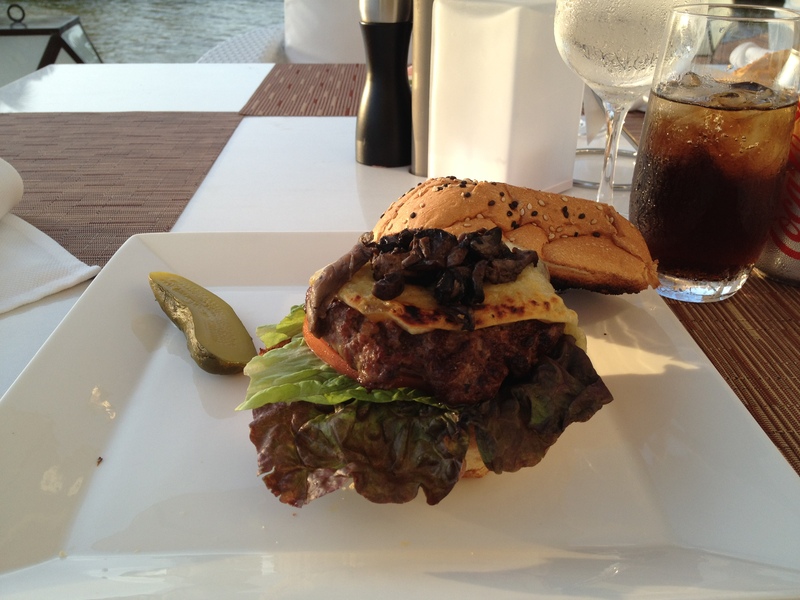 Cheeseburgers while on vacation…now that’s the life! Ha!! Here you are hiding from us!! 😝 this is a great idea..!! Especially since you and I seem to have a similar taste bud.. I think I will be enjoying this blog little bit more than ahem Mary’s quinoa crazed blog…😳 looking forward to your burgervore adventure!! Thanks for the encouraging words!! Hopefully I can keep this entertaining and tastefully informative. I’m really looking forward to trying some awesome burgers. If you hear of any places I need to check out, please let me know! !